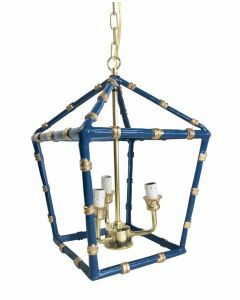 This large navy bamboo lantern has been enlarged and would make a perfect fit for a space with high ceilings or over a kitchen island. 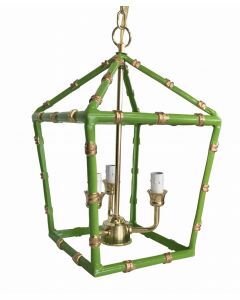 It is beautifully made of hand painted tole and made metal. 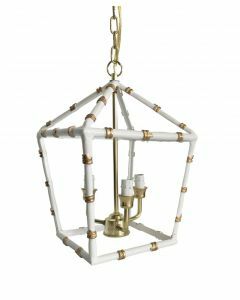 The lantern measures at 20‚ÄùH and has a 24‚Äù chain drop. It is 13‚Äù at its widest. It is hardwired and has four lights. 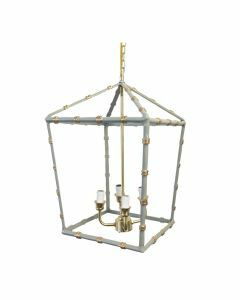 Canopy options are either brass or white. Please select canopy option from the drop down menu below. Click on image for greater detail.